Ann Harrington, Greenville NC participated in Centering Prayer, Marriage Encounter, Charismatic Renewal, Cursillo, spiritual direction. She attended many retreats on Creation Spirituality and became a Spiritual Director in 2011. Her marriage of 40+ years and her years as mother to 4 sons have strengthened her bonds to God. She along with 4 other Spirit led Catholic women founded the Free Spirit Inclusive Catholic Community in 2013. Among Ann’s gifts are helping people uncover the God dimension in their lives. She would like to help those dealing with depression to experience the God of Unconditional Love. 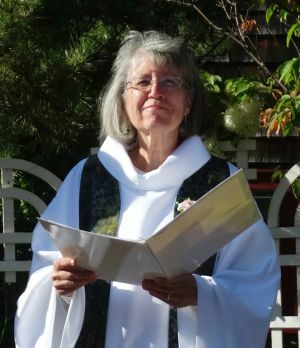 Ann was ordained a priest on July 19, 2014.